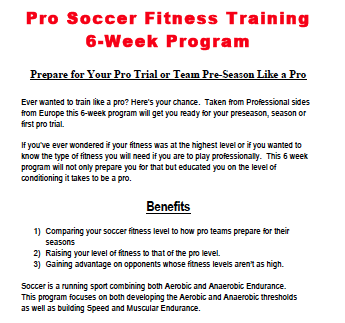 6-Week Soccer Training Program – Train Like A PRO! How to Physically Prepare for Your First Pro Tryout! 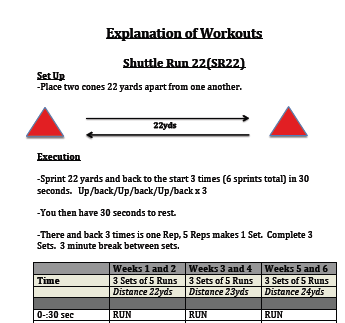 Ever wanted a specific soccer training program straight from a Pro Team? Now you’ve got it. Preparing for pre-season or your first pro trial, then this is a MUST! These workouts are the same fitness workouts I did in Europe and Asia playing professionally during our preseasons preparing us for fitness at the pro level. You can’t get a more specific pro training program then this. If you've ever wondered what the fitness standards at the pro level are you’ll get your answer here. 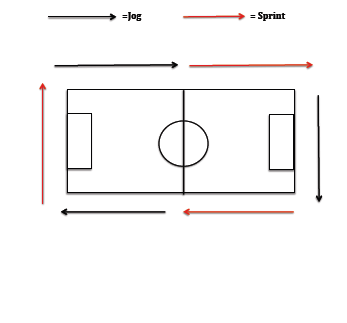 - Soccer Specific Fitness used at the PRO LEVEL! Which Teams Do This Type of Fitness Training? 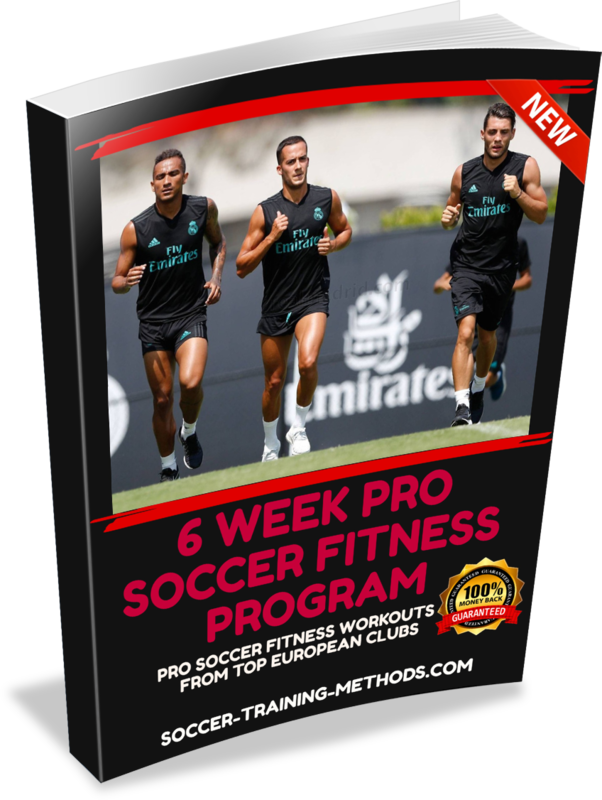 From personal experience this 6 week fitness program is done by clubs in the 1st Division in Serbia, Ireland, Croatia, Hungary and Malaysia to name a few. You won't find a more extensive training program then one like this where I've personally spilt years of sweat over. This workout isn’t for everybody, if you just play soccer a couple times a month or you want to add a little jog into your monthly routine then this is not the workout for you. This soccer program is catered for those looking to get their condition levels up to a high level, the professional level. Is this an Aerobic or Anaerobic Fitness Program? A professional player needs to have both strong aerobic and anaerobic conditioning and this comprehensive 6-week program will provide you with a level of fitness unknown to your competition. This soccer training program provides a strict daily and weekly schedule of performance and rest required to get optimal results out of your body. At the professional level conditioning of the body at the highest level is a must for any aspiring top level team and player. Week 1 – Building A Base to work with including a variety of short and longer workouts. Week 2 – Continues to build on that foundation with less days of rest and increasing the work load. 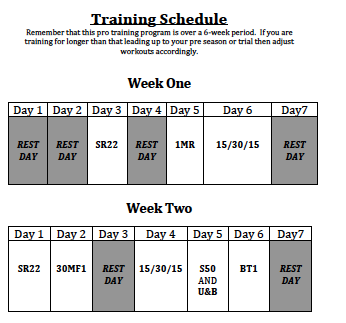 Week 6 – Pushing through the final week while tapering off leading up to the pre-season/tryout. NOW YOU'RE READY to tackle any team's trial, pre-season or fitness test with this elite soccer training program. For less then the price of a pair of socks, you can have access to a wealth of PRO Fitness Workouts and Plans that will benefit your game. Pay through PayPal with your PayPal account OR with your credit card. "Thanks a lot for the information you provided. I will look to surely use some of the guidlines which you administered. I'm currently on my preseason break and I definately need to improve because I am planning to go for tryouts in the summer." You can keep the e-book on your computer where you can read it anytime, or print it out and bind it for easy reference. All of Soccer-Training-Methods E-Books Come With a No-Questions-Asked Guarantee! If you're not satisfied with this e-book, just email me within 2 weeks of your date of purchase - and I'll issue your 100% refund immediately. Your e-book purchase is 100% safe and secure - and 100% risk-free. Clicking on the button below will enable your payment to be safely processed through PayPal – you can use your credit card if you do not have a PayPal account.